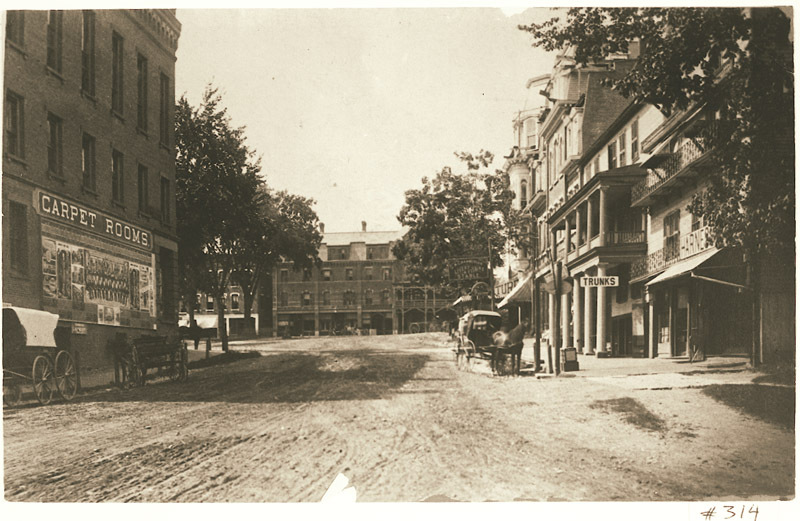 View looking west up Main Street with the Amherst House in the background. At right is the American House Block (with pillars) and Hutchinson's harness store. At left is Palmer Block, now the site of the Town Hall. There are horses and wagons in the street. Lovell, John L., 1825-1903, “View up the middle of Main Street in Amherst,” Digital Amherst, accessed April 23, 2019, http://digitalamherst.org/items/show/401.